The narrowly won vote to leave the EU after 46 years of membership was mainly motivated by concerns about unrestricted immigration of EU citizens into the UK, the relative lack of sovereignty over decision-making that EU membership entailed and the ongoing financial cost of being a member. The broader economic consequences of this change were perhaps less well understood. Most economists agree that the economic impact is likely to be negative, with GDP falling due to the less advantageous terms on which the UK will be able to trade with its nearest neighbours. The UK's terms of trade will also likely deteriorate (as they have already with the fall in sterling since 2016), meaning imported goods and services will tend to be more expensive. There may also be long-term costs once the UK becomes relatively less open to the flow of people and ideas that can stimulate growth. 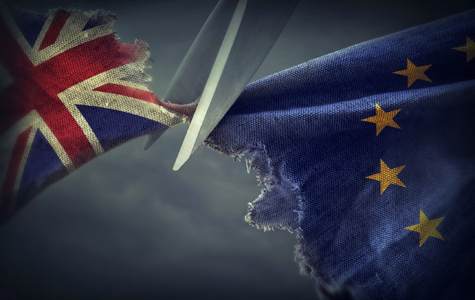 So far, there is some evidence that the uncertainty surrounding Brexit has caused firms and households to defer spending plans until the situation is clarified, while overall UK growth seems to have fallen behind G7 peers over the last two years. But looking forward, the seriousness of Brexit's impact on the UK economy will depend on the terms of the eventual deal between the UK and the EU. This is what the negotiations have been about since the government triggered Article 50 in March 2017. Almost certainly, the worst outcome all round would be for the UK to leave the EU without any deal at all, though we believe this is relatively unlikely. This might occur if the current lack of agreement in Parliament on how to proceed continues. No Deal would be the "hardest" type of Brexit on offer, involving the UK moving on to World Trade Organisation trading arrangements with higher tariffs and more restrictive movements on goods across borders, as well as the lapsing of other UK-EU arrangements. We believe it is more likely that some kind of deal with the EU will be reached, probably involving a type of free trade arrangement with minimal tariffs on trade in goods with the EU but no harmonisation of standards as occurs in the European Single Market. This would probably be costly for the UK economy and still constitute a moderately "hard" Brexit. Less costly would be some variant of a so-called "soft" Brexit. This could be achieved by staying in the customs union with the EU, though this prevents signing trade treaties with non-EU countries, or joining some variant of the European Economic Area (sometimes called the Norway option). Either of these options would be much less costly in terms of economic impact but neither would realise many of the possible benefits of leaving the EU, since the UK would not be able to curb EU immigration and would need to continue to pay into the EU. For now, so long as No Deal is avoided, as we expect, no new trading arrangements would come into force until after they had been agreed during a transition period lasting until the end of 2020. So how should investors respond to all of this Brexit uncertainty? So far, the exchange rate has borne the brunt, falling around 10% since the referendum; UK equities have probably been slightly weaker than would have been expected, while UK fixed income has probably been more robust as the Bank of England policymakers have held off raising interest rates. If No Deal is taken off the table, it seems likely that sterling assets would rally slightly, even more so if Brexit were reversed altogether. But the threat of a hard Brexit or even No Deal still means there are downside risks to UK assets. In the absence of a crystal ball, the case for a well-balanced globally diversified portfolio of stocks and bonds is as strong today as ever. Far better to watch the news as an interested citizen than as a trigger-happy investor!